Cages for laying hens are a big step forward with the cages of laying hens, this is not unnecessary. Layer cages are used not only by private farms, but also by industrial farms that breed chickens for egg production. Our poultry farmin cages for layers are made entirely of metal, because they are strong and durable. 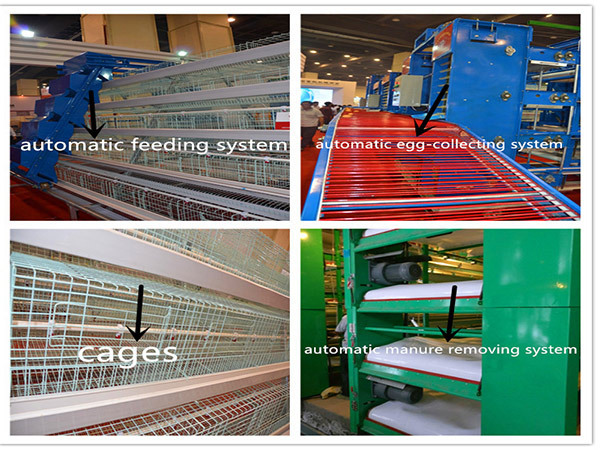 In general, the structure for laying hens cages consist of five parts: a grid, a metal frame, a feeder, a drinker and an automatic egg collection system. Grids for laying hens are made of galvanized steel, include a back wall, a side wall, a ceiling, a mesh floor and a front wall, on the front sills of each grid made a door. The nets are fixed on the metal frame, the feeders are located outside the cells, the floors in the trellised cages are made of a frequent grid with a slope toward the front wall of 7 degrees. The front edge of the floor is equipped with egg trays. 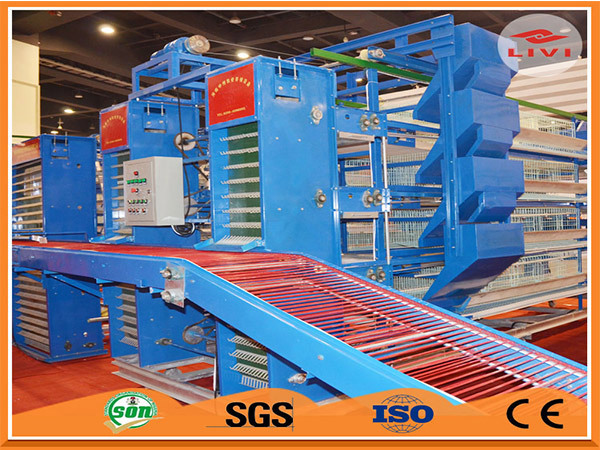 Here is our automatic layer chicken cage system. Depending on the number of chickens, the cages for laying hens can be divided into different types. We have two types of layer cages for our poultry farming cages-A-type and H-type.The design and their function are approximately the same. Only at home conditions laying hens laying hens, the cage equipment in this case can be made with their own hands, and the cage are usually made of wood, for the fact that the cost is low. And in this article I propose our battery cages for laying hens, designed by our factory, and especially for large and medium-sized poultry farms. The strength of the structure. Easy operation of collecting eggs. Hygienic environment for laying hens. You can choose our poultry farming cages for your commercial chicken cage equipment. We can give you the best quality layer chicken cages as well as low cost investment poultry farming cages.